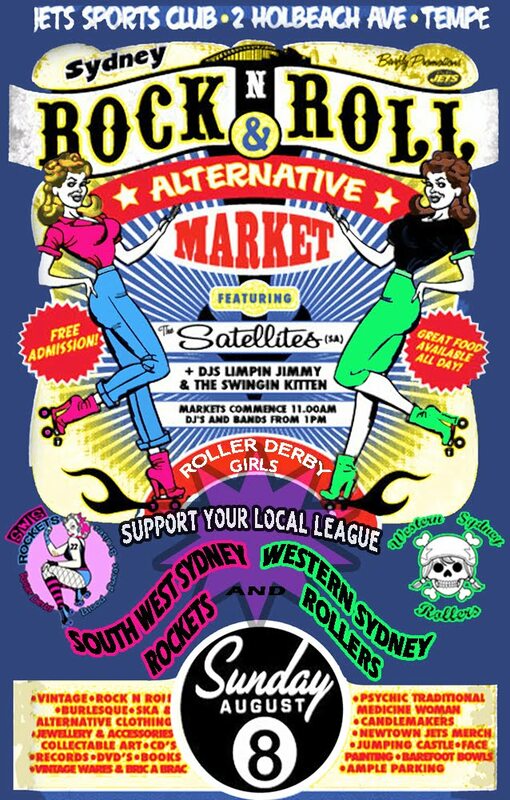 Make sure you put this one in your diary, its only 2 weeks away and South West Sydney Rockets and Western Sydney Roller Derby Leagues want to see you there !! Come visit us, say hello, buy some merch and talk Derby to us !!! 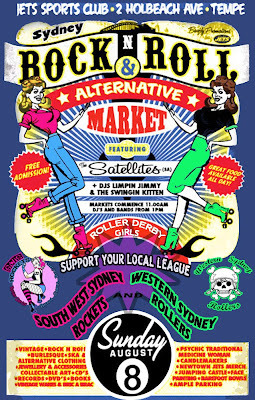 These Rock 'n' Roll Alternative Markets will feature an awesome array of stalls including: Vintage, Rock 'n' Roll, Rockabilly, Burlesque, Ska, Goth and Punk Clothing, Jewellery and Accessories, Record's, CD's, Vintage Homewares, Collectibles, Memorabilia, Art, Books, Comics, DVDs, Traditional Medicine Women, Candle makers, A Psychic, a Jumping Castle, Face Painting for the kids, Great food and lots lots more. FREE ADMISSION. Ample Parking Available. We hope to see everyone there !! 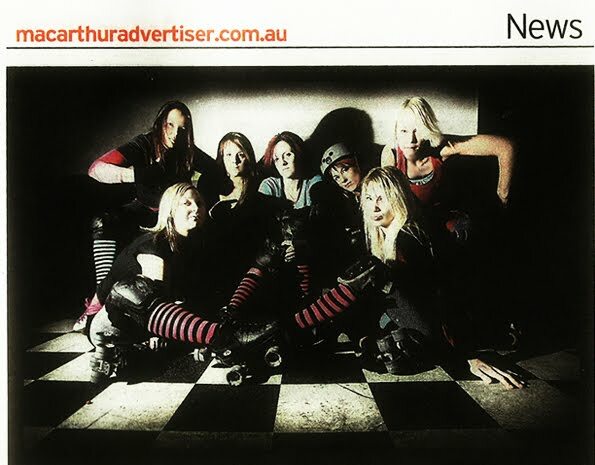 SWSR Roller Derby league were excited to be called and asked to have a feature in the News section of one of our Local newspapers "The Macarthur Advertiser - Campbelltown edition" this week about our new Roller Derby league "South West Sydney Rockets" recruitment, and our fantastic launch party / fundraiser we are holding next week at CC's Campbelltown. On page 3 and then continued on page 24, we were thrilled when we seen the article ! Our Launch party / Fundraiser at CC's is bound to be a big one, with the wonderful help from Brian at STE Promotions and with more on the lineup, the night is looking to be a great one. SWS Rockets cant wait to see everyone there !!! 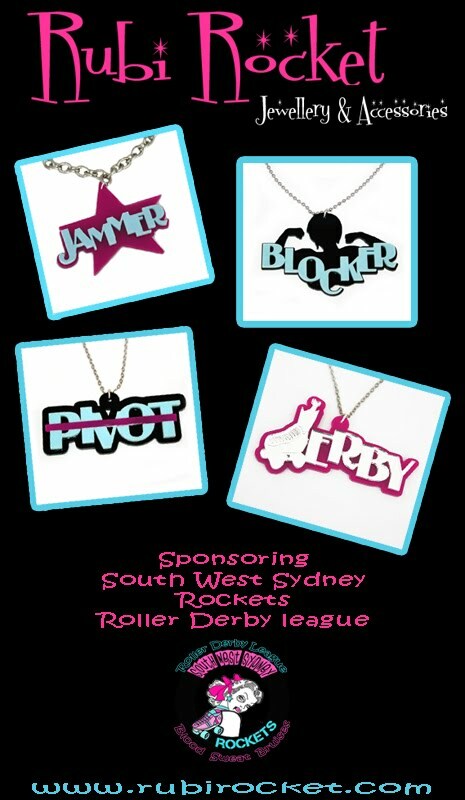 Rubi Rocket are proudly 100% Australian Made and Owned and offer an alternative range of laser-cut acrylic perspex jewellery, accessories and gifts. Rubi Rocket also make custom made peices, and New Custom Derby jewellery, as well as offering a whole range of quality designer pieces at affordable prices. Rock'n'roll, Horror, 80's Glam, Rubi Rocket has all the jewellery for you !! 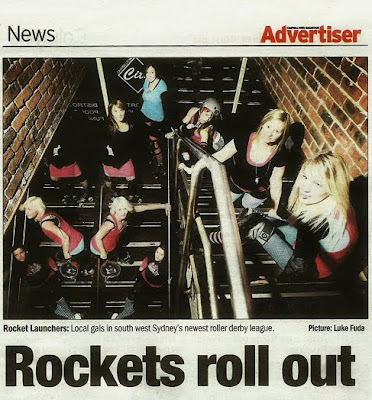 South West Sydney Rockets send our love to Rubi Rocket for there kind sponsorship, which enables our league grow!! Go see what goodies you can find at Rubi Rocket now !! Worn Wild is the first show of its kind in Australia. 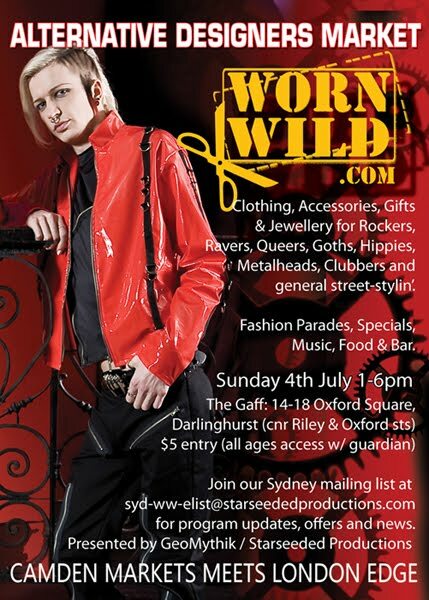 It’s a hotspot for all genres of alternative design and portfolios some of the most innovative wearable art forms as well as the most exciting ‘niches’ in the underground of fashion. 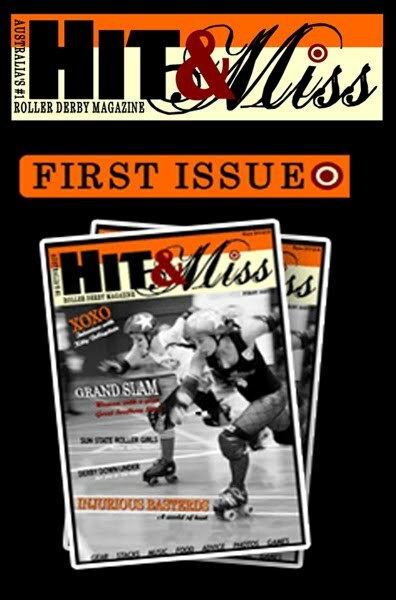 Finally there is a captivating and high energy event that does more than just put fashion on show. A big thanks to our newest sponsor Rubi Rocket for all there support and help on the day, what a wonderful stress free markets it was, looking forward to seeing the next one !! STE Promotions in association with South West Sydney Rockets Roller Derby League presents........"ROCKET LAUNCHER"
Be sure you come along and support your local Roller Derby League!! Come and meet the girls of South West Sydney Rockets at our launch party / fundraiser....With hot live music, a rocking DJ, roller girls, giveaways and more... what better way to spend you Friday night than sharing it with SWSR and supporting our league !! Be sure to put this one down in your diary !! AND TELL ALL YOUR FRIENDS TO COME TOO! !